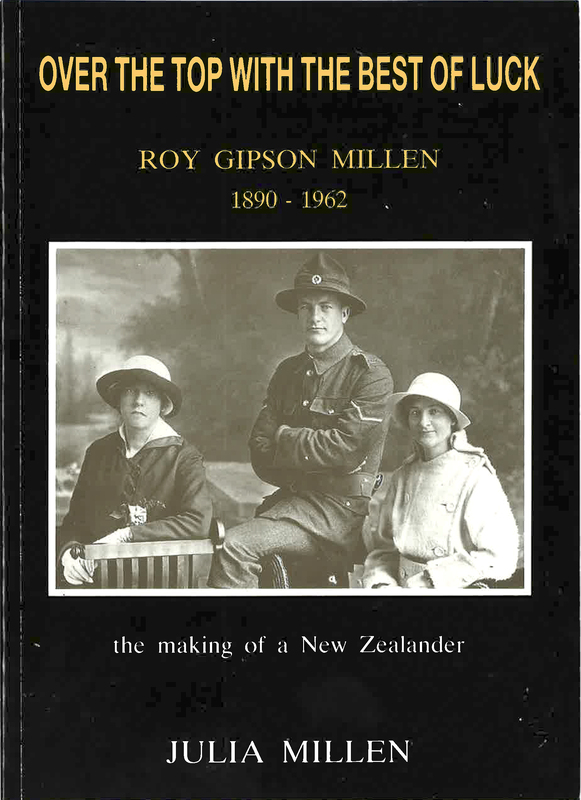 The making of a New Zealander: Roy Gipson Millen, 1890–1962. 5 June 1917: ‘Up we go to Red Lodge for the night only I think & then over she goes…’ Cpl Roy Millen’s last diary entry before massive explosions signal the start of the Battle of Messines. In early 1915 the Timaru bank teller took Army leave and joined the Canterbury Regiment of the NZEF ready to do his bit for King and Country. ANZAC troops were already fighting and dying at Gallipoli, yet news of terrible losses only served to fuel the nation’s passion for victory. After training at Trentham Camp, Roy Gipson Millen sailed with the 8th reinforcements on the Willochra bound for the Middle East and Gallipoli. Finally, at Port Said on 20 December, the troops heard of the Gallipoli evacuation and by mid-1916 were in muddy, rat-infested trenches of northern France near Armentiers. Special features: The Ranfurly Hotel fire in Colyton; bankruptcy in Eketahuna, 1917 diary written in the front line trenches on the Belgian-French border in the lead up to the Battle of Messines, June 1917. First published 1992. Paperback, 126 pages. Includes photographs, map, Millen-Mexted family tree. Based on the war diary and service record of Roy Millen. An authentic story of a New Zealand infantryman in action.